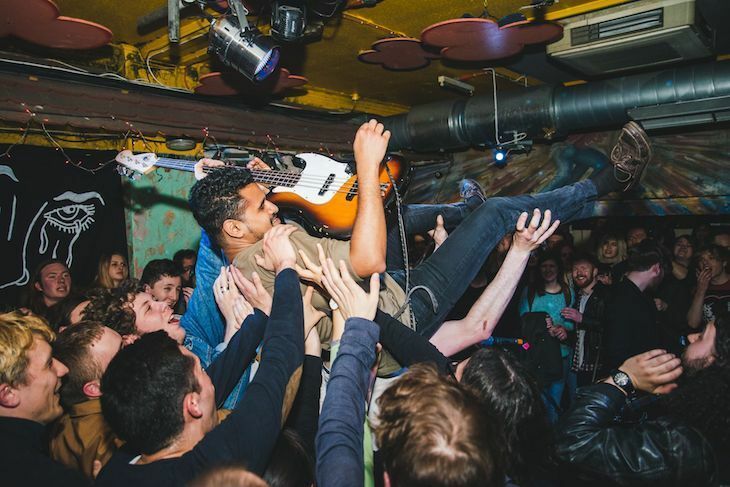 London has always been one of the world's best places for live music. There are so many venues, all over the capital, that it can be hard to choose where to go for what. Never fear — here's a guide to help you decide. The Rolling Stones at Hyde Park. Photo: Peter H.
When you think of London's mega stadia, this dome-shaped arena is probably the first thing that comes to mind. 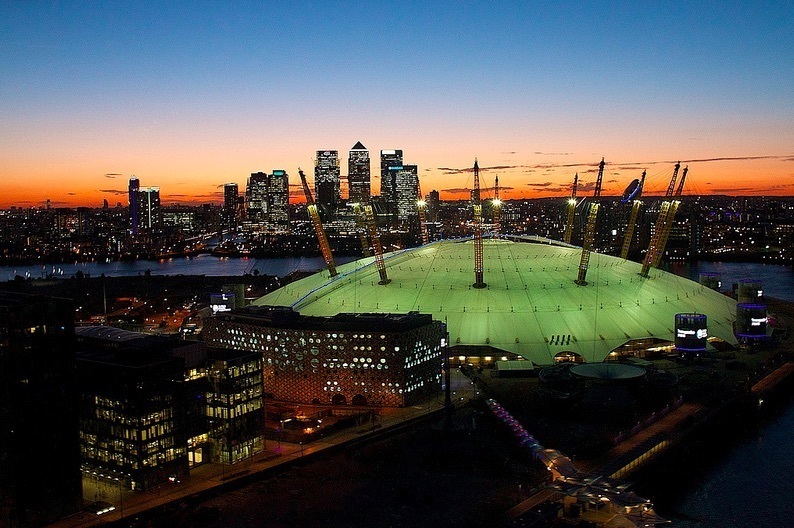 Since opening, The O2 has hosted almost all of the globe's biggest bands and artists, including Paul McCartney, The Libertines, One Direction and the late great Prince, who dazzled audiences with a tireless 21-night residency back in August 2007. Standing in the pit is fantastic, but if you only get seated tickets, know there are great views wherever you are. A quick warning if you're afraid of heights: it gets pretty steep at the top and could leave you feeling woozy. Did you know? Space rockers Muse became the first ever band to perform to 21,000 fans at The O2, during the last show of their 2016 four-night residency. The O2. Photo by David Hardman from the Londonist Flickr pool. In 1985, the old Wembley Stadium hosted Band Aid; the new Wembley hosted Live Earth 2007 — which saw an incredible array of talent come together in the name of charity. One of the most iconic moments in rock music history happened here too, when the remaining members of Led Zeppelin came onstage with the Foo Fighters at a 2008 gig. The point is, this football stadium/open-air music arena is one still one of London's best places to see the big hitters in all their glory. Whether you sit or stand, the atmosphere (and view) is immense and there is always a healthy line-up of mega stars booked to play under the arch. Did you know? Wembley Stadium has 90,000 seats, none of which have obstructed views. 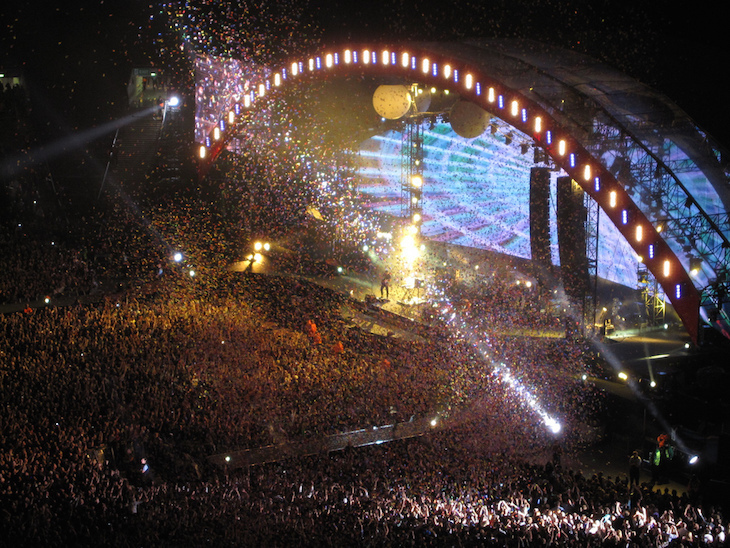 Coldplay at Wembley. Photo by becks from the Londonist Flickr pool. Hyde Park is one of London's finest green spaces, and in the spring and summer, turns into a haven of live music, hosting many of the UK's top super concerts. British Summer Time's festival/open air stadium vibe is not to be missed. 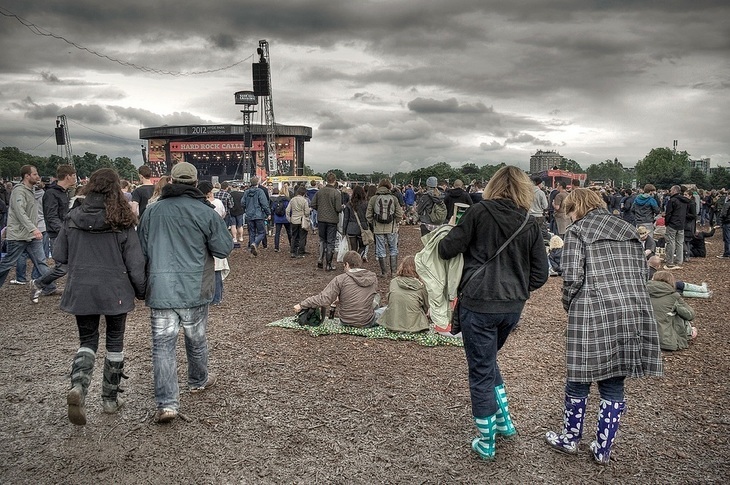 In the past, musical giants such as Paul Simon, Taylor Swift, The Who, The Kinks, Beck and The Rolling Stones, have all shone on stage (even if the weather was gloomy). Did you know? British Summer Time holds about 65,000 fans per day, but in 1976 Queen played Hyde Park to an estimated crowd of 180,000. Hard Rock Calling (2012) in Hyde Park. Photo by David Henderson from the Londonist Flickr pool. The O2 Academy — AKA the Brixton Academy — is one of the capital’s most beloved mid-sized music venues. Since opening its doors to music fans in 1983, it's seen its fair share of action (and non-action — Nirvana were due to play here when Kurt Cobain committed suicide). The venue's sloped floor and enclosed structure make for an immersive visual and audio experience, and as it's only a short walk from Brixton tube station, it's a piece of cake to find. 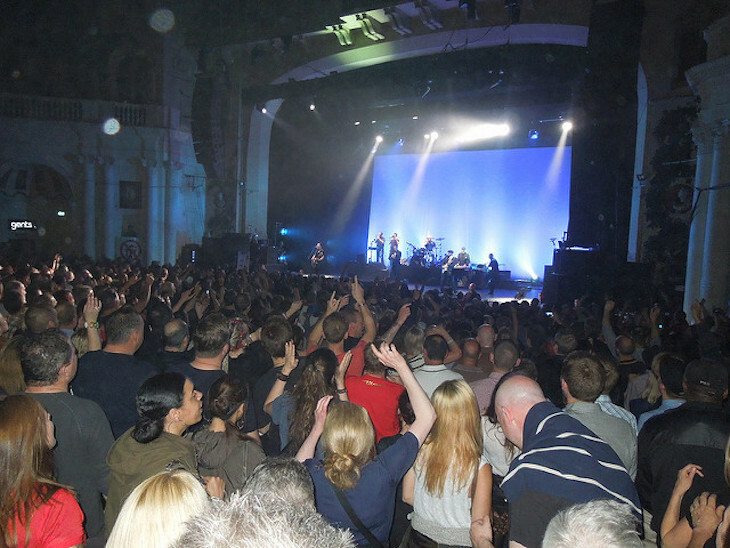 There are countless bands and artists on at the Brixton Academy every week, from hot new acts like Royal Blood to old cult, acts including The Pixies; the atmosphere is always intense from start to finish. Did you know? A visionary Londoner called Simon Parkes bought the Brixton Academy venue for £1. The Specials at O2 Academy Brixton (2013). Photo by Paul Wright from the Londonist Flickr pool. 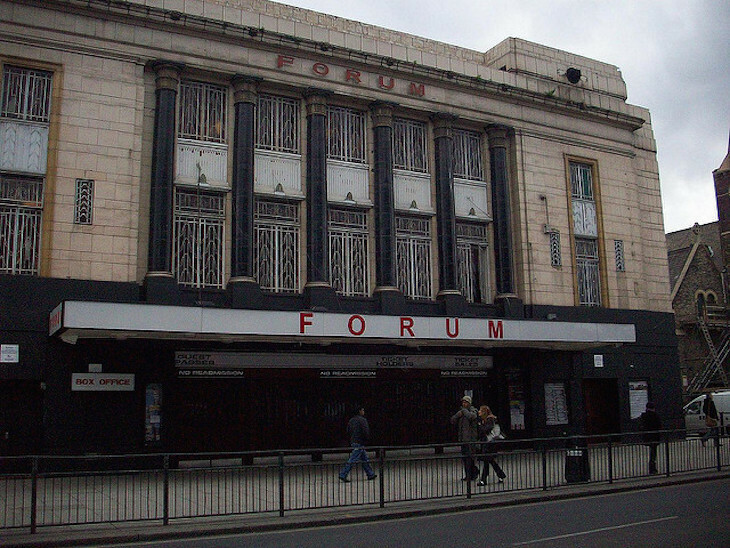 The Kentish Town Forum was once a buzzing picture house, and is now one of London's top gig spots. It's a cosy venue with a huge heart and prides itself in putting on hot new acts, as well as household favourites, every week of the year. The Bull and Gate is right next door, which is perfect for a pre-gig pint (or three) and since its recent refurb, there are plenty of tasty brews to enjoy. The sound in both seating and standing areas is epic, and its original art deco features really add to the atmosphere. This 2,000 capacity gem has been frequented by the likes of Jack White, Noel Gallagher and Bobby Womack. Did you know? In the 1980s, The Forum went by the name of The Town & Country Club. Kentish Town Forum. Photo: Andy Wilkes. It may be situated next to a flyover, but Hammersmith Apollo's sound system and intimate set-up ensures you get well and truly lost in the music. The upper balcony provides a great vantage point, while the standing section downstairs leaves plenty of room for moshing, dancing and jumping around like a hyperactive Jack Russell. Buddy Holly played his last ever UK shows at the Apollo, Ian Dury and The Blockheads played a legendary gig with The Clash in December 1979, and Kate Bush appeared here after almost 35 years off stage. Did you know? The Apollo still has its original Compton pipe organ (from its days as the Gaumont Palace), which was restored in 2007. Eventim Hammersmith Apollo. Photo by Tom Steel from the Londonist Flickr pool. Longstanding Londoners might remember when the Electric Brixton used to be The Fridge. It's since undergone major rebranding, but continues to have a reputation as one of London's best spots for live music. The Electric has carved out a real niche for itself amongst modern venues. 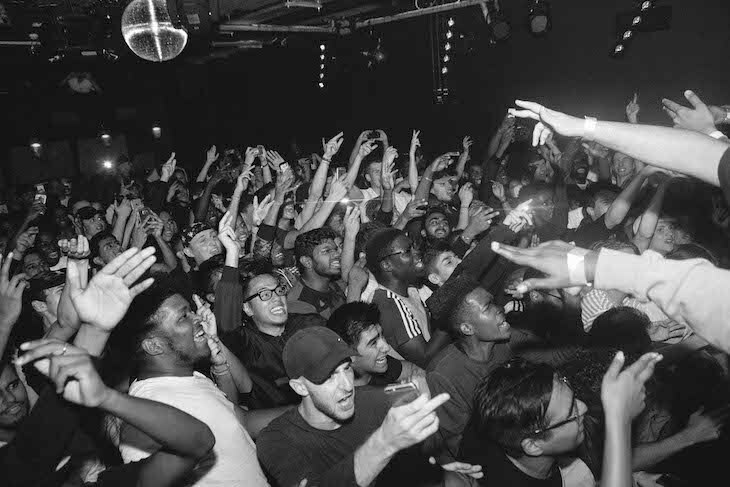 It attracts a lot of up and coming American hip hop and R&B acts, making itself the go-to venue for the genre. Run the Jewels, Danny Brown, Schoolboy Q and DJ Shadow have all appeared. Other genres play too, alongside regular club nights. Did you know? Back when it was The Fridge, the venue hosted one of London's premier gay club nights, euphemistically named Love Muscle. Squeezing in just 440 people, The Jazz Cafe is more intimate than anywhere else in this section. For quality music with the personal touch, this is a great place to come. It's been catering to the best jazz artists for over 25 years, although since its rebrand in 2016, you can catch the odd hip hop or electronica artist every now and then. The Garage right across the road from Highbury & Islington tube station, and local commuters will recognise it from the large crowds that form outside from 8pm every night. This venue puts gigs and club nights on both upstairs and downstairs. 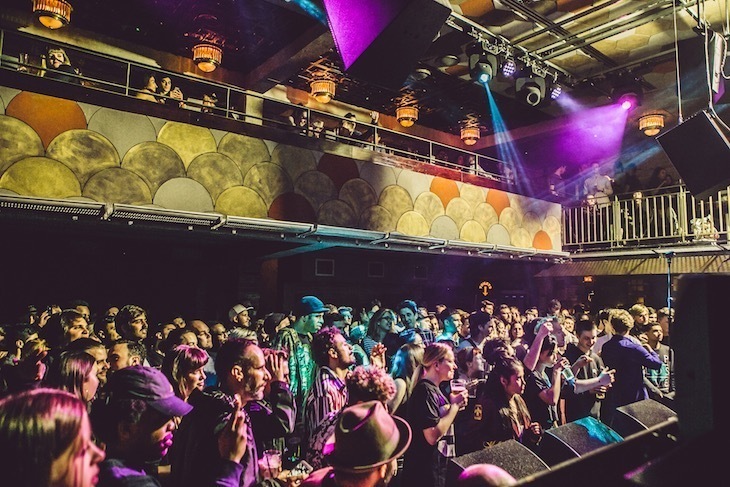 It does host the occasional known act (Lil Yachty, The Fall and Ocean Colour Scene, to name a few), but it's dedicated to showcasing smaller breaking bands with bags of talent. Whether you're into indie pop or hip hop, you are likely to see the next big thing strut their stuff here. Did you know? In addition to putting on music, The Garage also hosts the odd wrestling event. Smack dab in the middle of King's Cross and Angel, The Lexington attracts huge flocks of drinkers and indie gig goers every Friday, Saturday and Sunday night. Its high ceilings, decadent décor and 1920s jazz music make it feel like you've sneaked into some exclusive bar, while the upstairs music venue is lovely and cosy. It attracts artists that exist slightly outside the norm — perfect for an off-kilter venue like itself. Did you know? The Lexington serves over 100 varieties of Bourbon. Vuvuvultures at The Lexington. Photo by Kasper Vogelzang from the Londonist Flickr Pool. At first glance Putney's Half Moon might come across as nothing but a pleasant gastropub by the river; don’t let that fool you. Step into the live room and you'll soon see (and hear) that this venue takes its live music very seriously indeed. In fact, it's one of London's longest-running venues. 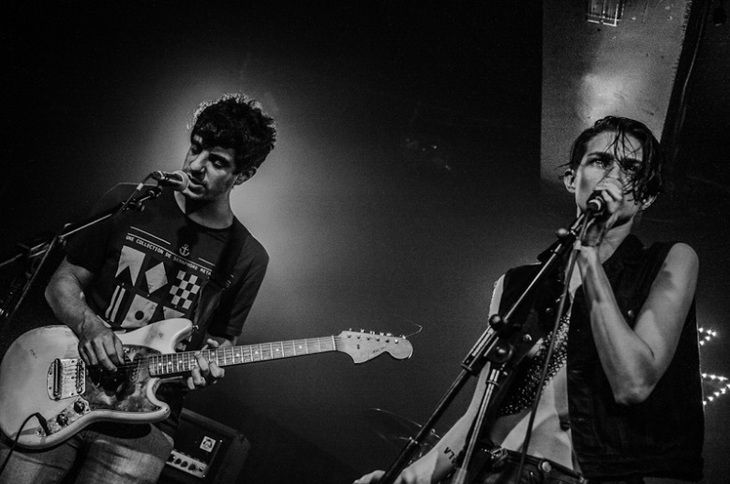 From premier tribute bands such as The Smyths and The Rolling Stoned right through to modern rockers, roots acts and musical comedy duos, the Half Moon puts on an eclectic mix of up and coming and lesser known talent, pretty much every night of the week. And the fact it doubles up as a gastropub means you can enjoy a decent feed before showtime. Ian McNabb at The Half Moon, Putney. One of Shoreditch's finest musical spots, The Old Blue Last has been entertaining gig goers of all shapes and sizes for decades. Inside it still sports the look of and old East End boozer, but with an alternative twist; the beer menu is crafty, and its snug layout makes the atmosphere here electrifying come showtime. 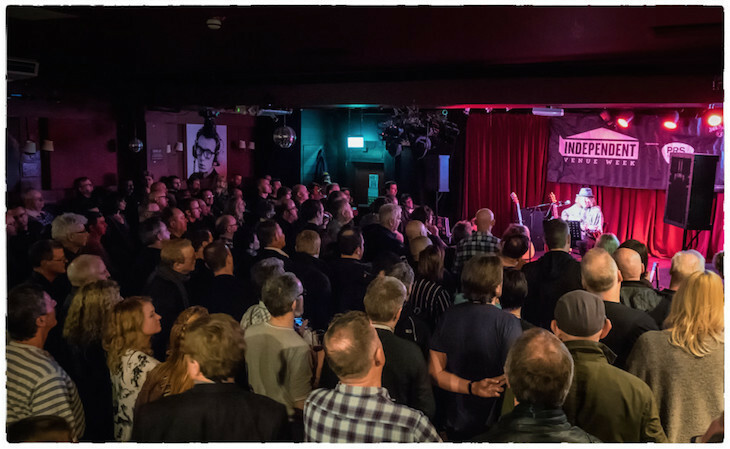 Bands and artists from all over the country flock to The Old Blue Last to play its famed stage, and often the gigs are free of charge. 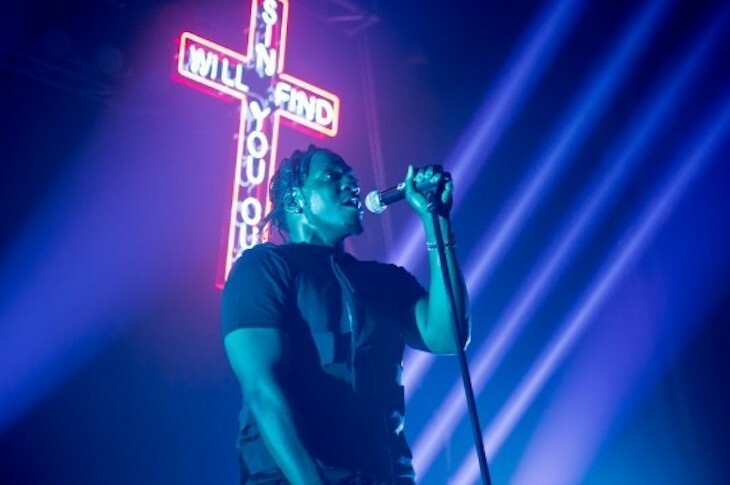 Whether it's hip hop, grime or good old fashioned rock and roll, acts are carefully vetted and sourced, so there are no red herrings on the line-up. Did you know? The Old Blue Last is over 300 years old — and used to be a brothel. 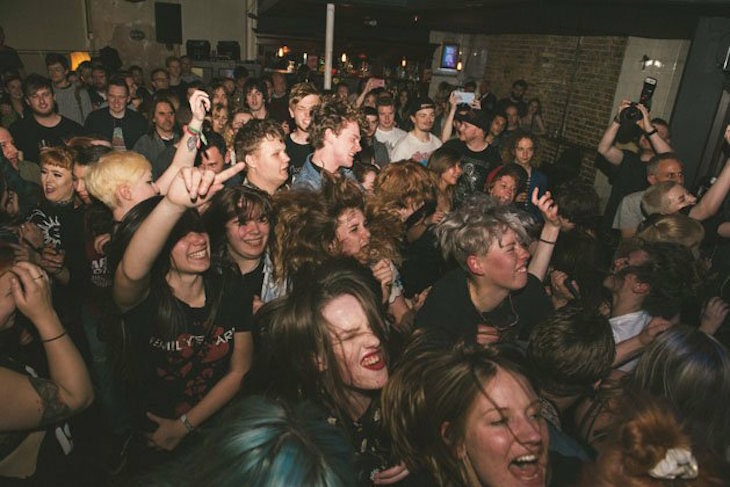 SWMRS at The Old Blue Last. What started out as a small pub on the backstreets of Brixton has evolved into one of the best music venues in the UK. The Windmill was built for the nearby Blenheim Gardens housing estate and was named after the nearby mill. 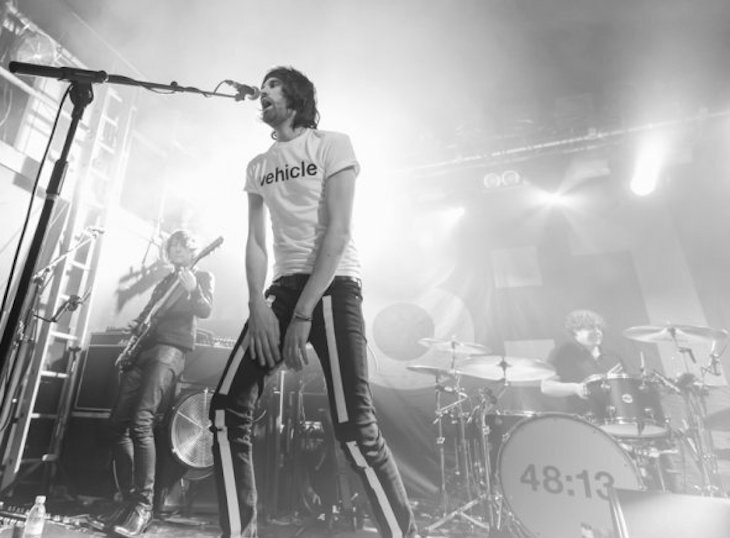 Although it's famed for promoting up and coming acts, the likes of The Vaccines, Hot Chip, Biffy Clyro and Jamie T are just a handful of the well-known names who have played here. Did you know? Windmill's mascot was a rottweiler called Ben, locally famous for standing on the roof until he died in 2015. 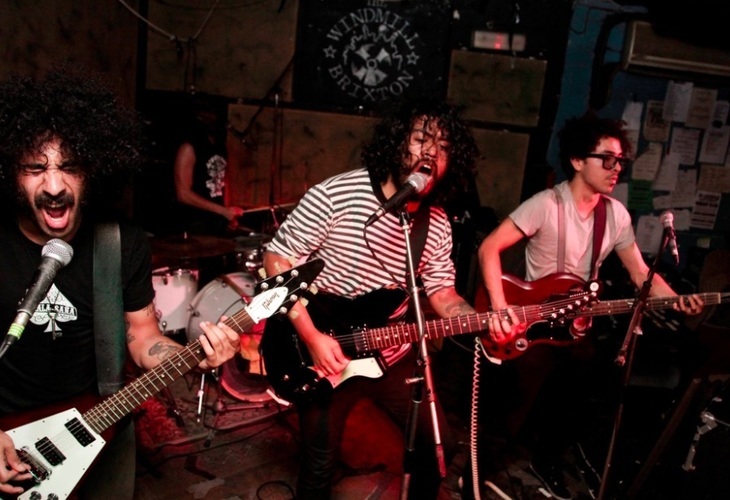 Los Explosivos at Windmill Brixton. The Sebright Arms has had a long and varied career as a music venue: it was a heavy metal venue in the 70s, then it became a disco pub, then a cabaret venue in the 90s — popular for its drag acts and East End singalongs. Some of the country's biggest promoters book bands for The Sebright Arms, so you're pretty much guaranteed to find the next big thing here. Nambucca rose from the ashes (literally) after a fire destroyed it in 2008. Although it hosts a variety of genres, it's particularly famed as a launchpad for nu-folk and indie artists. Frank Turner, The Wombats and The Libertines are just a few of those who have played here. The venue is open plan with a bar at the front and gig area at the back. Monthly club night This Feeling is one of the most popular indie nights in the UK, having been headlined by Catfish and the Bottlemen in the past. Did you know? The band The Holloways used to live above the venue, and are named after the street Nambucca is on. This Feeling at Nambucca. Photo by Lindsay Melbourne. If the name Camden Assembly leaves you scratching your head, do not fear, you might just know it by a different name. The spot used to be known as The Barfly, rebranding and reopening in September 2016. It used to be a haven for up and coming local indie groups but the focus has now shifted in a new direction. Whilst the odd indie group might still appear, the venue now skews towards grime and R&B. One thing that hasn't changed is the raucous atmosphere inside the room. Be ready for it to pop off. Situated just above Tufnell Park's local pub, The Boston Arms (which has some of the cheapest pints you'll find within the M25) The Dome is a haven for up and coming British acts. Visitors have included Two Door Cinema Club, Florence and the Machine, Chvrches, Jake Bugg and Slaves. There's always a good atmosphere, and they impressively manage this without overcrowding the place, so you won't have to fear any crushed bones. 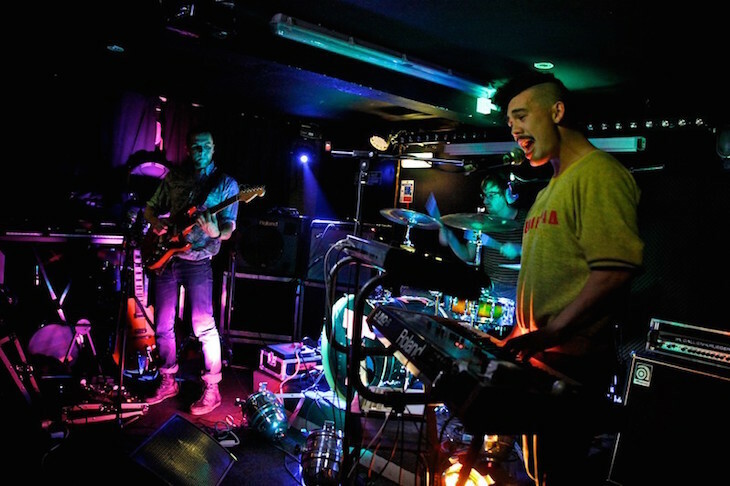 The Shacklewell Arms hold a useful function in bringing small bands from overseas to London, for an early appearance in their career. That's not to say they ignore British talent — lots of local acts use the venue for launch parties too. They do great burgers as well, perfect pre-gig food. Also if you go, you can say you've been to a venue in which the legendary footballer Pat Nevin has DJ'd. What more could you want from life? London has always been a mecca for live music and it still is today. These are just a handful of the amazing venues that the capital has to offer. If you think any others in particular should make the list, let us know in the comments or via social media.